There are 354 items available. Please enter a number less than or equal to 354. I have had the Contec cms60c about a week. It works to record and, if you wish, record and print results. It works for overnight monitoring. It can save monitoring results. The biggest problem I have is using the software. I don't know if simply following the instructions work. For me the instruction manual written for the device need to be redone. I believe it is a quality device. The software works. My suggestion is to only purchase this device if you are prepared to spend time figuring out how it operates. I found the Contec company (the seller?) to be concientous in responding to my requests for help. I mostly relied on the manual and obtained help from a pulmonary therapist to get it to record and print the reports I want. I recommend this device. I hope the instructions are change to make it easy for someone like me (a layman) to use. This is much easier / better than a fingertip monitor if doing a sleep test or to monitor during activity but the accuracy is questionable. Mine isn't even close until I've been wearing it several minutes after which it seems to stabilize and becomes more accurate in comparison with my fingertip monitor. It also seems overly sensitive to bumps and even rapid movement. I use mine only if I go out shopping and it's great for that in that it allows me to constantly monitor my SATS and pace myself and / or adjust my O2 accordingly. If your need is similar then I recommend it but if your need is more critical I'd pass on this device. Seems to work fairly well. This unit has a great looking display and even computer software that generates graphs of various types (worked with my Windows 8). It works exactly the same as human blood pressure monitor works and it seems to do a fairly good job considering the difficulties encountered when dealing with animals (in my case cats). The difficulties are one, fur, which makes it like a human wearing a sweater. This makes sensing the pulse more problematic. Second, the fact that animals do not like to sit still when they feel they are being messed with. Despite these difficulties I was able to get some fairly consistent reading from my two cats (using the front leg, for a really small cat this might not work, mine are 10 pounds). Sometimes it takes a couple of tries to get the cuff positioned exactly right. How accurate the readings are I can not say for sure. I tried to compare my readings with my vet's machine but the cat was so stressed by being at the vet that I could not really get a good reading. I have noticed that my one cat that is now on blood pressure medication has lower, more acceptable-level readings compared to before the medication (now in the 120 range versus 170 before) so I suspect that the readings are fairly accurate. Also the pulse rate seems to be right. Another indicator is that the cat not on medication has higher readings. I wish I had thought to measure blood pressure sooner, might have saved the partial loss of eyesight of my one cat. High blood pressure is often caused by kidney problems and it can in turn cause detached retinas. Can happen so gradually you don't notice until its too late. In summary I think this unit is a good value for the price and a good tool to have around especially if you have old cats. Vets don't usually offer to check blood pressure because the cats are usually so stressed that it is difficult to get a good reading and it will be higher than normal even if they do. So its better to try and do it yourself if you can. One criticism I would make is that the manual was apparently written by someone for whom English was definitely not their first language. But you can figure out the operation without the manual, its pretty straightforward. Insurance wouldn't refer me for another sleep study after previous family doctor set BiPAP settings too high. With help of new doctor I've been able to titrate my settings so I'm getting better sleep and my AHI is dropping. I initially tried a different CONTEC monitor but that keep falling off my finger at night and I had trouble pulling data to review. I ordered this and it's been a high difference. The watch is a little bulky, but the fingertip monitor hasn't fallen off once. I'm also able to pull the data first attempt everytime now. This watch also has a built in clock and multiple sessions so it's much easier to sync with the data from my BiPAP machine. Granny is 100 (2.2016) and her lung Dr has provided us with exercise that helps to keep her breathing right and lungs strong. Slip it on your finger, then relaxingly breathe deep and watch as your oxygen level (known as *sats* or saturation) goes up. 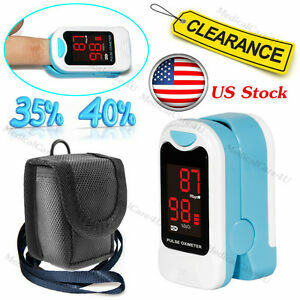 We have used this same systems' pulse rate to have family members admitted to hospital. Normal pulse rates are between 60-80. Slipping it on Dad's finger one day and his was below 40, popping up and down by a point or two, he was admitted and ended up not only staying but going into rehab after that. When it is under like that, pace makers seem to be recommended in the long run unless or until a person reaches certain ages. Another family member was placed into the hospital when the pulse rate was within seconds popping 109 97 114 102 88..... this seems to always be a medicinal issue and sometimes they have to put the heart back into rhythm with a small shock. To be able to monitor your family with such an inexpensive and small tool is incredible. Our home first aid bag holds one of these, we keep one in any room where there is an ill Elder; along with a blood pressure cuff (small arm and large arm band) and of course a thermometer. I am not a Doctor, I am an over 60 care taking child with grandchildren, neighbors, parents, Grandparent and others in my life that I care about. This is also a great survival tool for those who can't feel pulse.